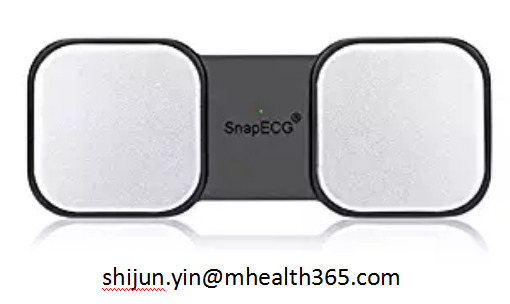 Europe.Bloombiz.com - Snapecg Portable EKG Monitor, Handheld ECG Heart Monitor for Smartphon, Product by Nanjing Xijian Information Technology Co., Ltd. Turning complicated ECG/EKG data into a intelligible heart rhythm report via a lifetime free App 'SnapECG', unlimited storage of all your ECG/EKG recordings without any subscription fees. Download APP by scanning the QR code on the package from Apple Store and Google Play, support IOS 9.0 or higher, Android 4.3 or higher. This Portable ECG/EKG recorder captures a medical-grade EKG in 30 seconds anywhere and anytime, helping you finding potential heart issue earlier. No additional ECG electrodes and other consumables needed.